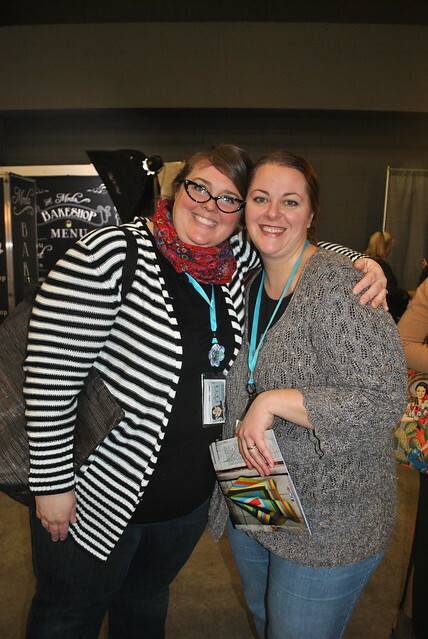 The best part of QuiltCon by far was meeting so many people I've met from their blogs or over e-mail. 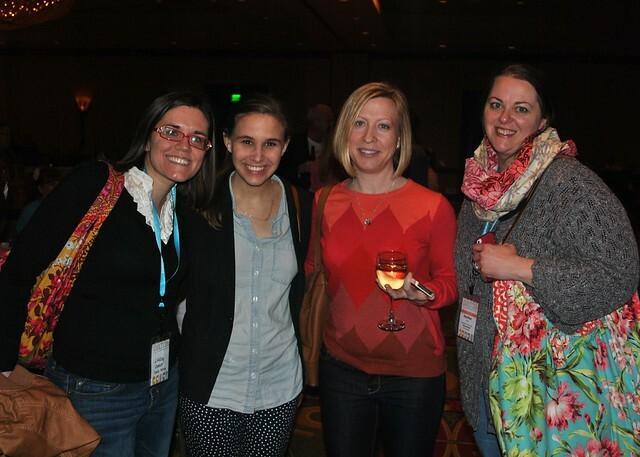 I was at the conference for two full days, and I think I got to meet most of the people I wanted to. Had I been there longer, it would have been fun to spend more time hearing their stories! 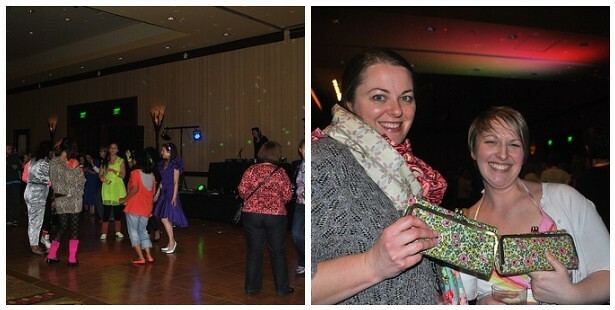 On Friday night, there was an '80s Dance Party sponsored by Baby Lock, and I wasn't planning on going. Honestly, I packed the smallest carry-on suitcase ever, so I left no room for neon clothes, scrunchies or Aqua Net hairspray. Earlier that day, I got to chat with my Angela Walters (so sweet!) and she convinced me that I should go even if I didn't bring anything to wear, because lots of other people weren't dressing up. So I went, and I'm so glad I did! I may not have joined the conga line, but I did get to hang out with some pretty fab people throughout the night: Felicity, Brenda, Alexia and these girls . . . Earlier that day, Moda had this fabulous photo booth set up at the show with props and signs so you could take a photo and have it printed out right there (and also e-mail it to yourself). So cute! 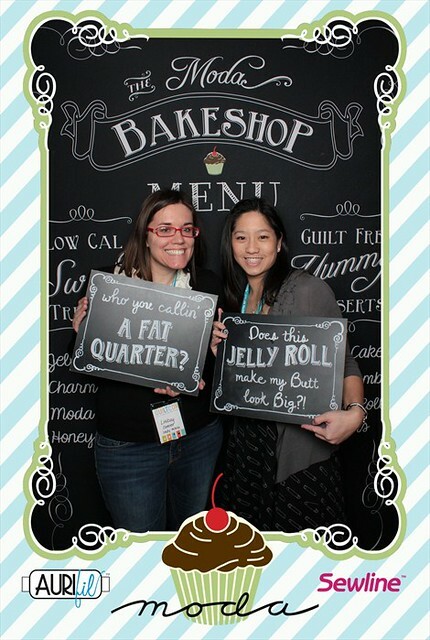 This me with Elaine, who was my partner in a solids swap last year. Very fun to meet her in in person! And then there were these fun girls! 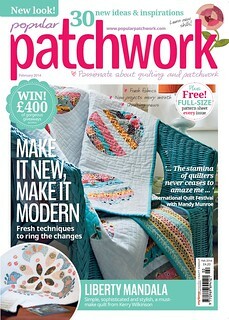 I know Heather from her shop Crimson Tate and the Indy Modern Quilt Guild. Funny that I have to go to Texas to bump into her these days! And then there was Heather Jones, my life saver who said I could room with her at the conference, even though I was super last minute in booking my trip. 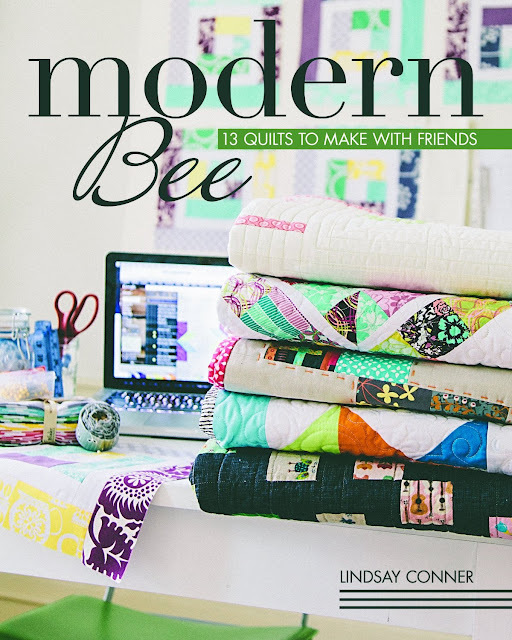 I wish I would have been in town on Thursday to see her lecture on inspiration for modern quilts, but I'm looking forward to catching it online, as well as her recently launched Creativebug class! 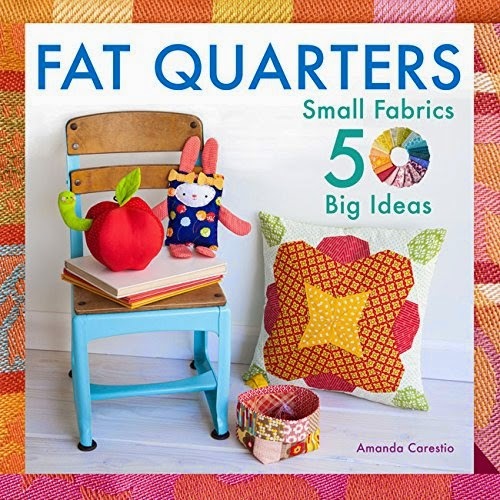 I spent a lot of time hanging out at the Andover Fabrics booth and had a great time chatting with Adam about the new direction and marketing for Andover. I really love what they are doing and the new focus on modern designs and branding. Lizzy House and Thomas Knauer were fun to talk with, and I fell in love with Lizzy's Constellations dress. 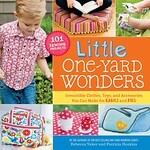 I can't wait to show you what I'm sewing with Andover fabrics! Denyse Schmidt gave the keynote lecture on Saturday night, and I learned a lot about her design work and how she got started in the business. 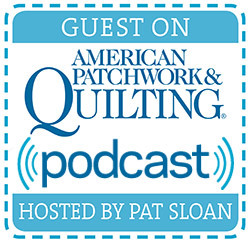 I was most impressed that she designs 10 fabric collections per year (wow!) and enjoyed hearing how she designs every quilt to be photographed on a bed (with an extra allowance of border/design to hang over the edge. 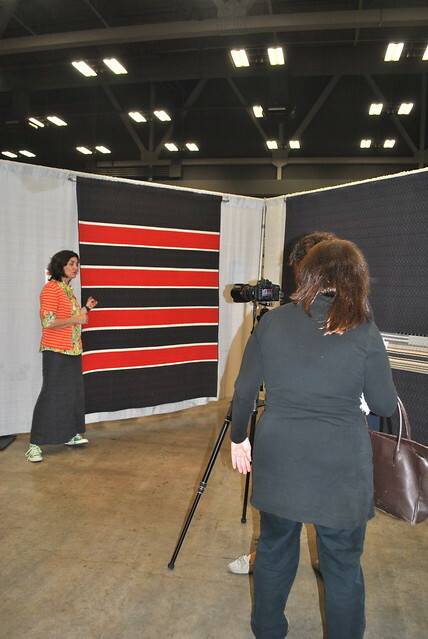 Here she is with a film crew, talking about her exhibit at the show. I didn't meet Denyse, but everyone I talked to said she is so down to earth and genuine. My favorite lectures of the weekend were with David Butler and Amy Butler. David talked about photographing a story (you don't need a lot of money or an exotic location to do so!) 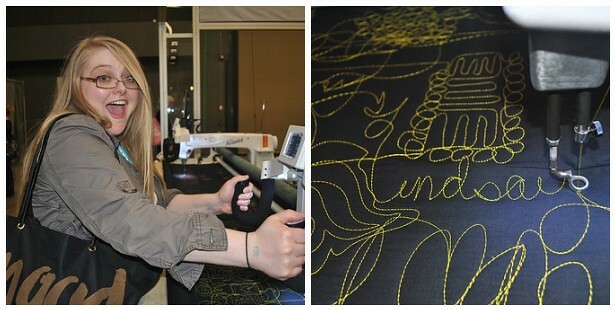 and Amy shared sneak peeks of her new collection, global inspirations and her sketching/design process. 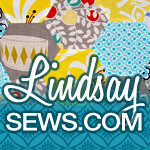 With any luck, you'll get to check these lectures out for free on Craftsy, because I know many of them were recorded! I also caught a great demo on photographing quilts with Gregory Case (who photographs for several quilt magazines), with tips on camera settings and how to stage your quilts for a photo shoot. 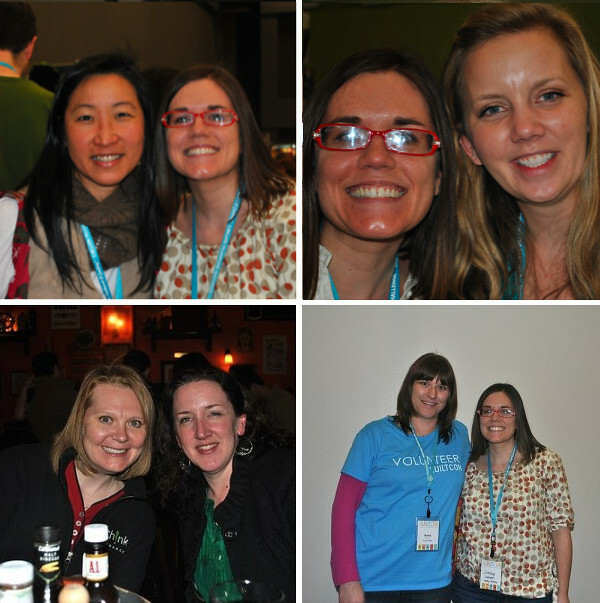 Top Row: Finally met Kendra; Chatting with Angela Walters. 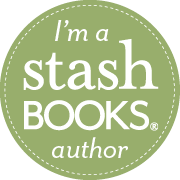 I'll be back soon with another post on the QuiltCon booths. 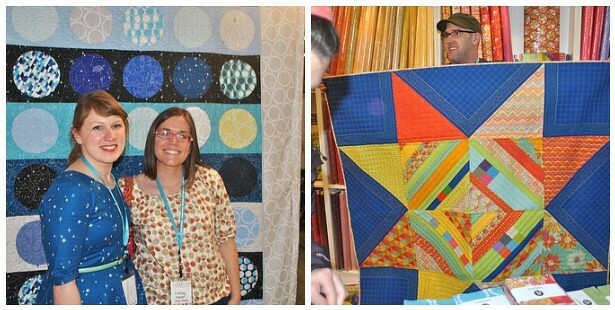 Also here is my recap of the QuiltCon quilts, in case you missed it! Looks like a lot of fun. 2015 for sure! Thanks for all the links to blogs, I added a few to my reader. 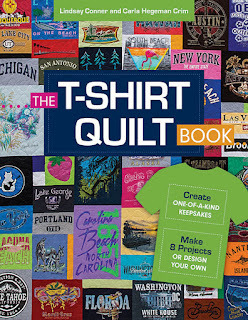 Hopefully I can get to know a few more people before the next Quilt Con! I'm enjoying your recaps. Have "purchased" (for free!) 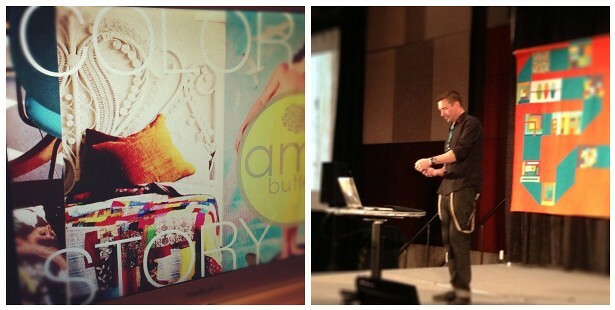 all of the lectures on Craftsy and already watched David Butlers, so interesting and informative!